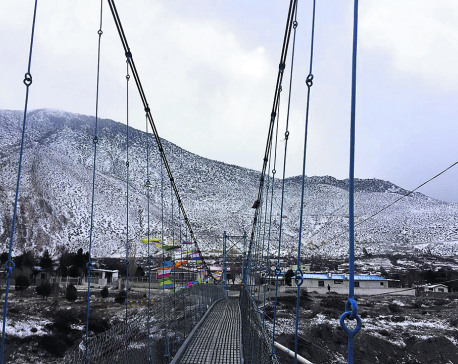 MUGU, Feb 28: Most schools in Mugu remained closed on Wednesday following the sudden drop in temperature due to heavy snowfall since Tuesday. Continuous snowfall and freezing temperature have disrupted normal lives in Mugum Karmarong Rural Municipality. Chiring Funjok Lama, a teacher at Pulu Basic School, informed Republica that most of the schools remained shut as they could not afford to risk the health of their students. 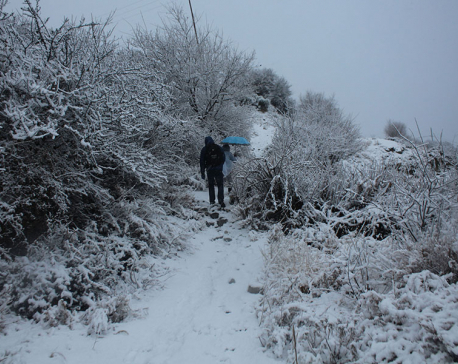 According to him, places like Dolfu, Mugu, Chitai, Takha, Kahri, Kimri, Rius among others received heavy snowfall. With the closure of shops and markets, the district headquarters Gamgadhi remained quiet on Wednesday. Apart from that, the heap of snow piled up on road has halted vehicular movement. Even the flights were cancelled on Wednesday due to the foggy weather. 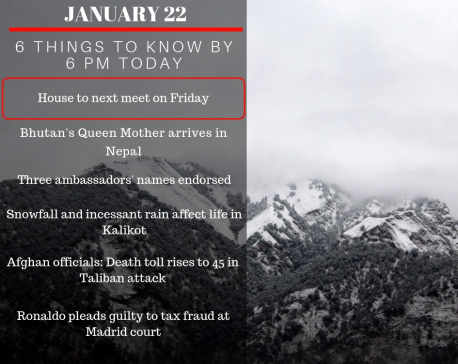 As many as 40 students who left for Jumla to appear for examination were stranded in Ghuchhi pass owing to the dense snowfall. Nanda Bahadur Rokaya of Rara Municipality-4 laments that many youths like him were forced to stay at Ghuchhi pass as they could not risk their lives by walking in the dense snow. Dev Bahadur Malla, a teacher of Gamgadhi-based Mahakali Secondary School, says that the school conducted two classes in the morning but could not continue due to the frosty cold weather. He says this is the first time he has seen snowfall for almost two months.